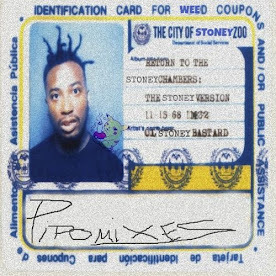 I haven't heard the mix in it's entirety yet, but I felt the need to get something up ASAP. I feel a little embarrassed that I haven't yet made a Gil Scott Heron mix of my own. I'm sure we'll get plenty more tribute mixes in the coming weeks. All you hip hop historians may correct me, but I don't think it's a stretch to say that Gil Scott birthed the MC. Man, too many good ones going without enough good ones to replace. I think it's important to distinguish between what makes "rap" music. First is the vocal delivery. Lightnin Rod ("Sport"), Blowfly, Rudy Ray Moore, Johnny Guitar Watson, The Last Poets, The Watts Prophets, and of course... Gil Scott Heron. All of these artists are some of the American predecessors of rap. If we broaden the history to include Jamaica... U-Roy and others were rapping, rhyming, toasting, boasting, and party rockin as early as 1968. But to be fair, Jamaicans picked up a lot of their musical repertoire from American radio and music. Second, is the lyrical content of rap music, which is characterized by rhyming wordplay, boasting, party-rocking, antagonism, pop culture references, occasional humor, social commentary. In this regard, Gil Scott Heron is not really a predecessor. His lyrics are way more personal, thoughtful, and sophisticated than 99% of rap artists. 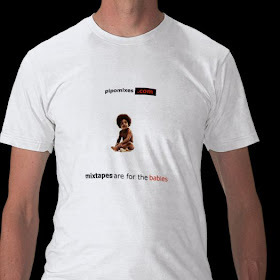 Gil Scott is not a party-rocker, or a gangster, or a pimp, or ghetto royalty, or any other rap archetype. He was a humble guy with real feelings and very keen insights. Third is the backing music. This is another area where Gil Scott Heron is not really a predecessor of hip hop. His music is not heavily sampled for breakbeats, nor as rhythmic or polished as the contemporary funk artists like James Brown, P-Funk, The Meters, etc. who really set the stage for the hip hop instrumental aesthetic. 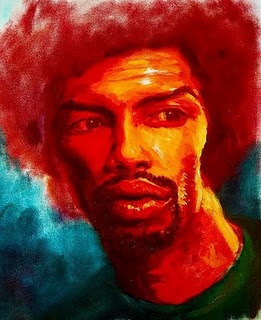 I think the reason people want to give Gil Scott so much credit for hip hop is that he was a fully realized black music artist who delivered thoughtful/critical social commentary in the form of poetic and lyrical verse. And maybe it's also because his big "hit" was "The Revolution Will not be..." Interestingly, that song is more characteristic of the Last Poets or the Watts Poets (and the Black Power spoken word movement of the time). Gil Scott described himself as a bluesologist, and I think that goes a long way in describing his place in music history. anyway you could re-up it on mediafire or something?